I like the picture of my daughter and granddaughter. I took a picture of them standing near one of the indoor exhibits and their reflection in the window turned out to be interesting. Those are pretty cool. I haven't been to the Zoo in a long time. Just gorgeous. I LOOOOOOVE the colors especially! That crustacean was waiting there, staring at me, and wanted me to take its picture. It looks like it is smiling, lol. I'm with Sharon - Great color composition. That wouldn't me the Bronx Zoo snake that escaped! hehe Looks like you had a great time at the zoo. You touched the rays right? Please say they had a tank that allow the children to feed the rays, along with other sea creatures! Those are the best! Thanks everyone.... all my granddaughter talked about was touching the rays and she did. I took so many pictures of her and forgot to touch them myself. Oh well, next time for sure! 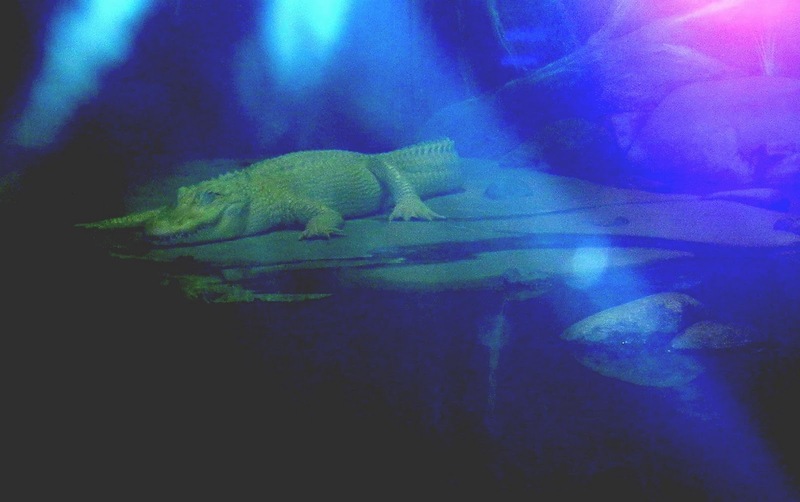 Tara, I never heard that about albino alligators. This fella was too far away and wouldn't come near the window. Where Do These Get Started?